Look for Pulitzer Prize-winning poet Maxime Kunin at the Burlington Book Festival this September. 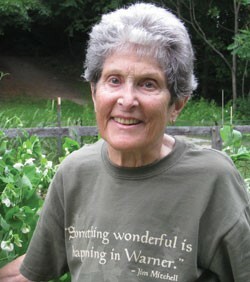 The 85-year-old New Hampshire resident, a former U.S. poet laureate, has been compared to Robert Frost and Elizabeth Bishop. She’ll read at the Grace Paley Poetry Series on Sunday, September 26, at the Main Street Landing Performing Arts Center.